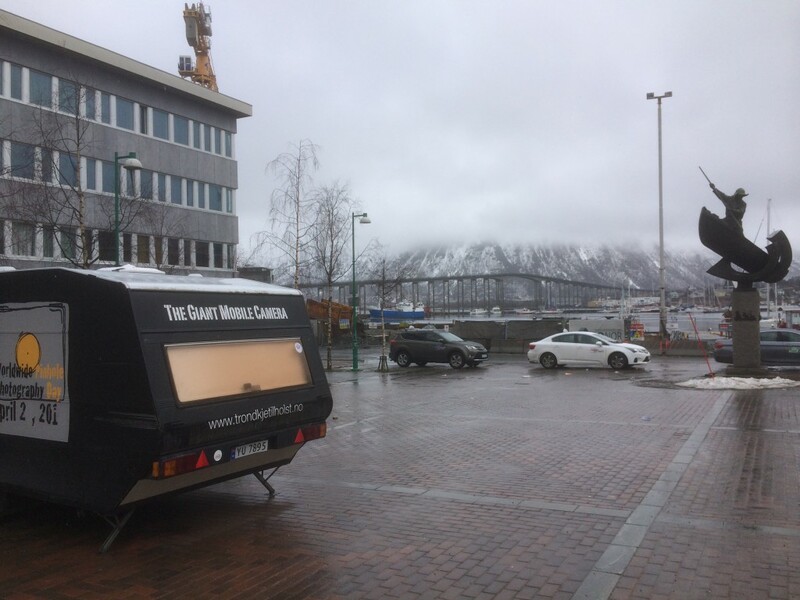 April 27, 2014 was Worldwide Pinhole Photography Day, and this year The Giant Mobile Camera and I were at Torget in Tromsø. 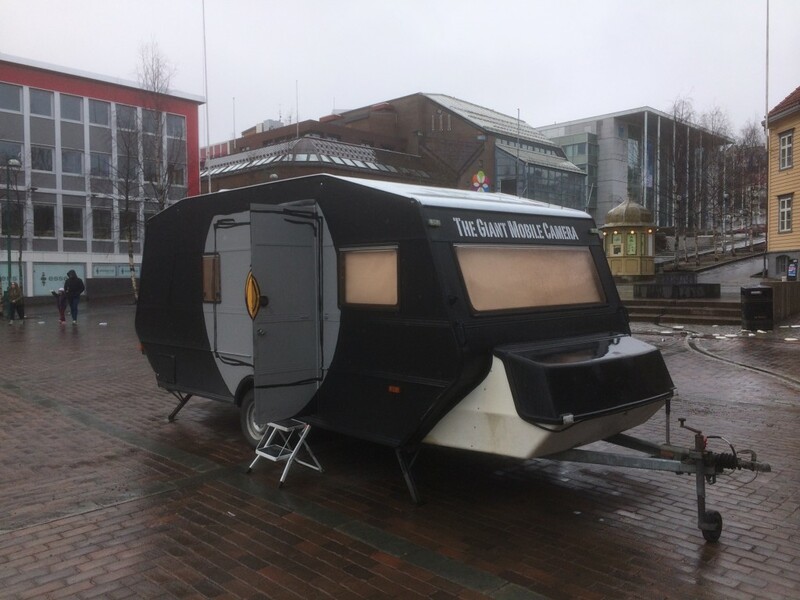 People could come and experience a pinhole camera from the inside and maybe learn a little about photography. 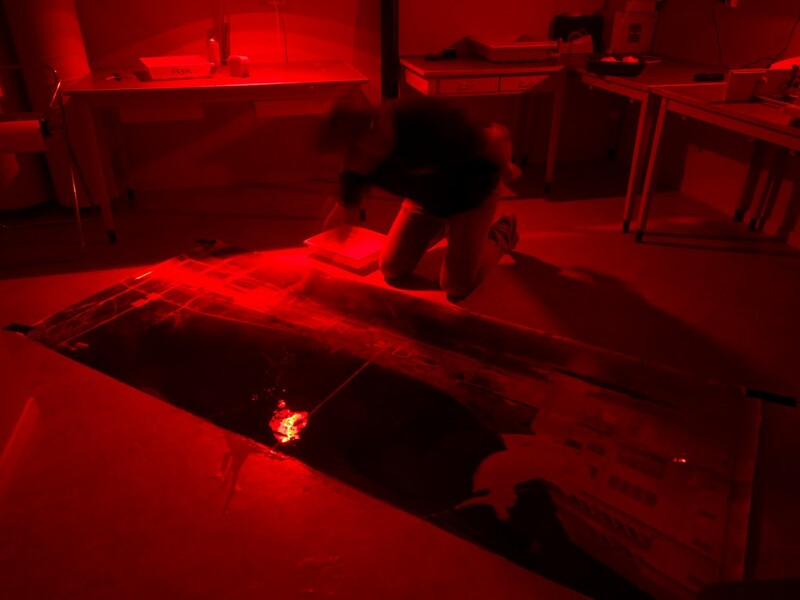 I also did make a giant paper negative in the camera. 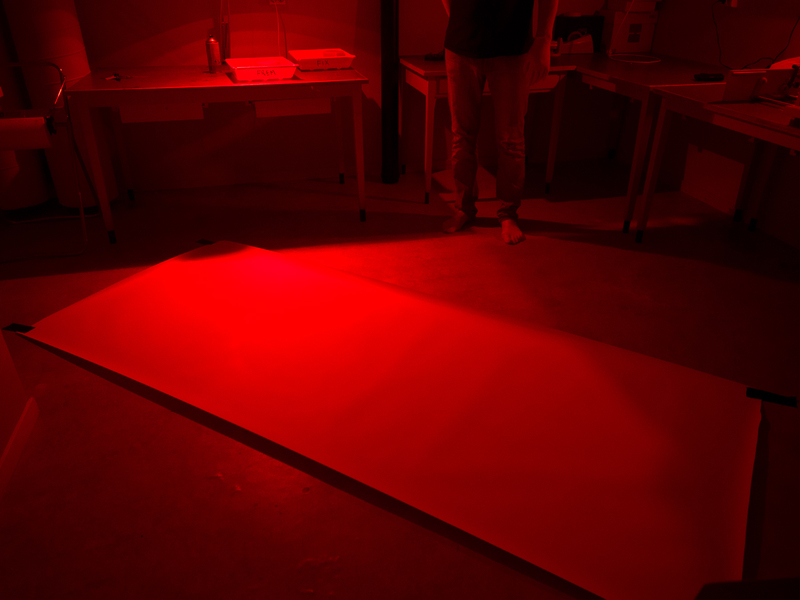 The paper negative laid out on the darkroom floor just before developing. 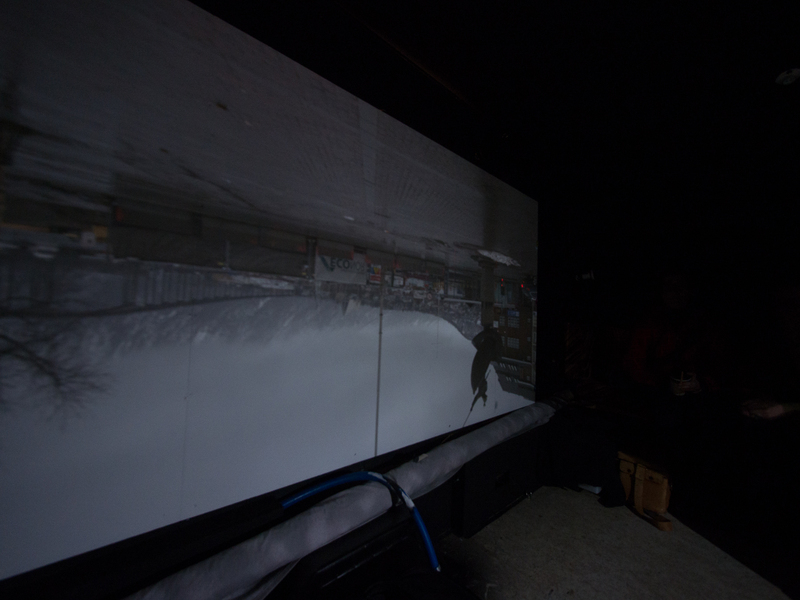 …and a digital positive version of the same picture.